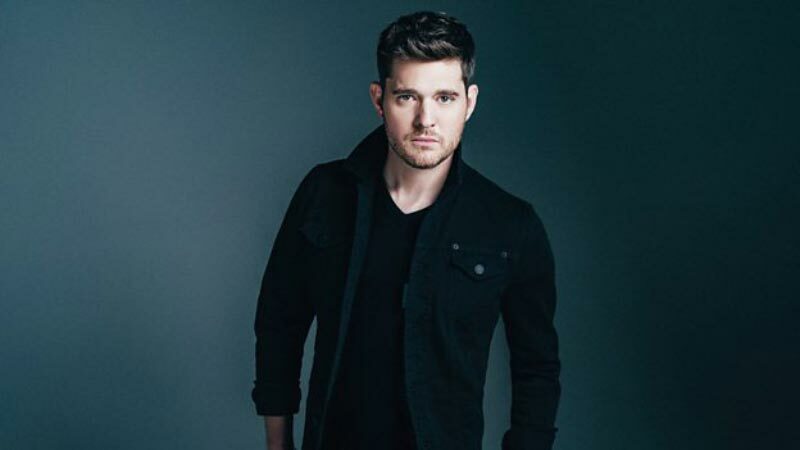 BBC One and BBC Music have announced Michael Bublé at the BBC, a world exclusive 60 minute entertainment spectacular, hosted by Claudia Winkleman and filmed at dock10. Accompanied by his band as well as a dazzling 30+ piece orchestra, Michael will be performing his classic hits and, for the first time on UK television, songs from his brand new album 'Nobody But Me'. Filmed in front of a live studio audience at dock10 in Manchester, the multi-platinum record selling, Grammy Award winning Canadian artist will also be chatting to Claudia about his music, his new family and what inspires him - with a few surprises along the way. Michael says: "I loved Adele at the BBC and I'm so excited and honoured to have been invited by the BBC to do my own show for them. I'm sure it will be a blast." Claudia says: "When you are asked 'would you like to interview Michael Bublé and watch him sing?' you don't say no. You change your whole life to accommodate this request. I can't wait." Bob Shennan, Director of BBC Music and Controller of Radio 2, says: "I'm incredibly proud that BBC Music are able to bring this world exclusive show to BBC One, continuing our commitment to music whilst giving viewers a must-see TV treat." Charlotte Moore, Director of BBC Content, says: "Following the huge success of our Adele special last year, BBC One is bringing viewers another unmissable night of music from the one and only Michael Bublé hosted by the brilliant Claudia Winkleman." The show follows in the footsteps of Adele at the BBC, broadcast in October 2015 on BBC One, which was subsequently nominated for Best Entertainment Programme at the Bafta Awards. A sketch within the programme, which saw Adele impersonate herself in-front of Adele impersonators, broke the BBC YouTube channel record by gaining over 51 million views. The recording will take place at dock10 studios in Manchester in October for transmission in November. Michael Bublé at the BBC is a BBC Studios production, with executive producer Anouk Fontaine of BBC Studios and Guy Freeman is Editor, Special Project and Formats. The programme was commissioned by Jan Younghusband, Head of Commissioning, Music Television. Created three years ago, BBC Music continues to bring music to its audiences through programming, partnerships and ground-breaking music initiatives, including BBC Music Awards on BBC One, the classical music initiative for schools 'Ten Pieces' and BBC Music Day, bringing communities across the UK together through music.